Everything investors need to know to survive and thrive during and after profit warnings. 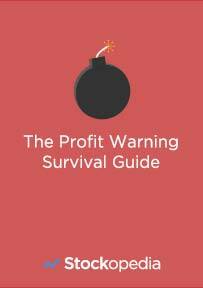 Get our detailed guide to surviving a profit warning. As a share investor you'll be guaranteed to be hit by a profit warning... this study of 245 profit warnings will teach you how to deal with them. Should you buy, hold or sell on a profit warning? What types of stocks are most likely to recover? Do profit warnings come in threes?